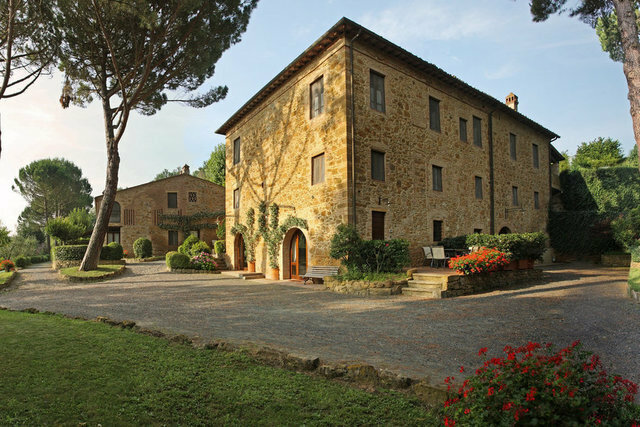 Historic borgo, tastefully restored and converted into 10 apartments, swimming pool and grounds immersed in the green hills between San Miniato and Montaione only ten minutes from the championship golf course of Castelfalfi. The resort is made up of the main villa dating back to the 17th Century, divided into 4 apartments and on the ground floor (where the wine cellars were located) reception with dining room, spacious kitchen with bathrooms and service areas. A large annex divided into 5 apartments, an independent house converted into a further accommodation, and a small annex with wood burning oven This fantastic resort comes with 1 hectare of fenced park, swimming pool and a sun deck area. In addition to 10 hectares of land, 8 hectares of which are olive groves. All of the apartments have independent entrances, fireplaces and private gardens for open air dining. The resort has been meticulously restored, respecting the local traditions, and attempting to maintain the original features. The grounds are beautifully kept. The property is being sold as "turnkey" with all relevant furnishings and fittings.